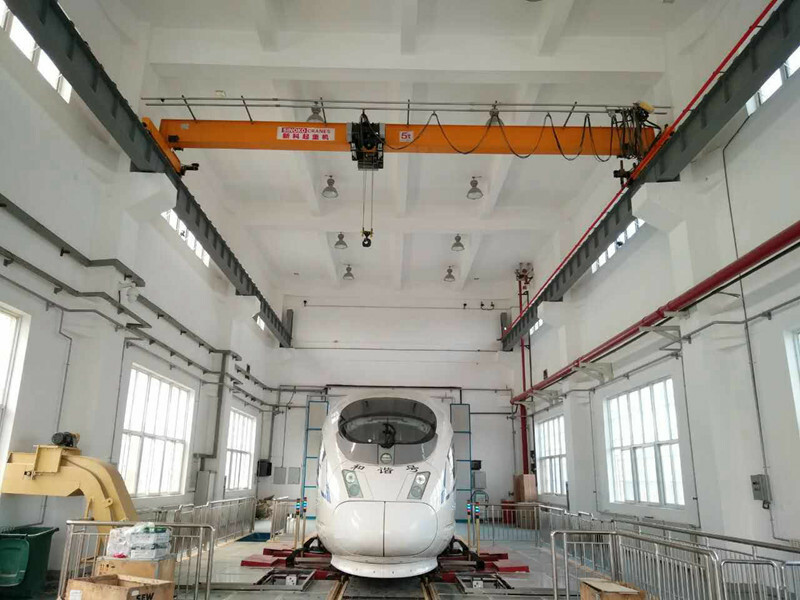 Sinoko Top Running Bridge Crane take the Europe design, the hoist system was designed according to SWF technical. The max. 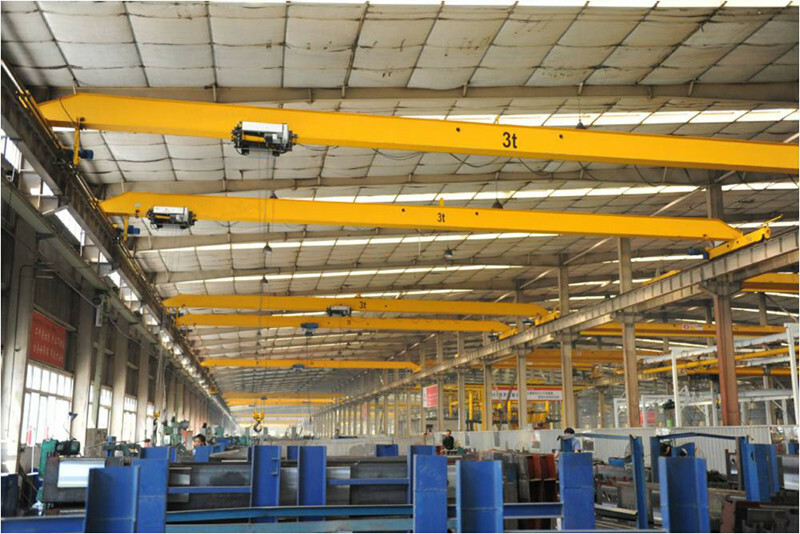 capacity Sinoko cranes can did is 80t. Will you a good experience and save your cost. Top Running Bridge Cranes are lifting devices that are used to lift materials over the workshops, warehouses and stockyards. Because its two ends are located on tall concrete pillars or metal brackets, it looks like a bridge. The bridge crane's bridge runs longitudinally along the rails laid on both sides of the elevated bridge, which can make full use of the space under the bridge to lift materials and is not obstructed by the ground equipment. 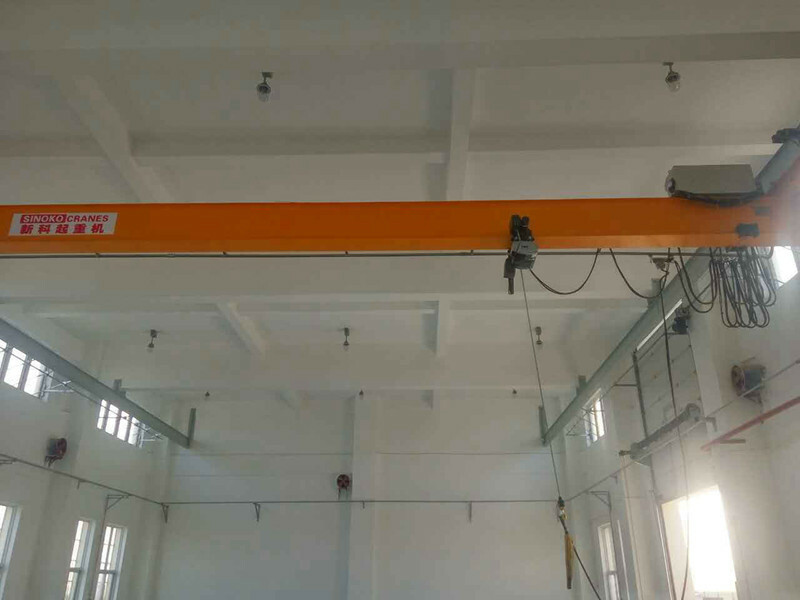 It is the most widely used and the largest number of lifting appliances. 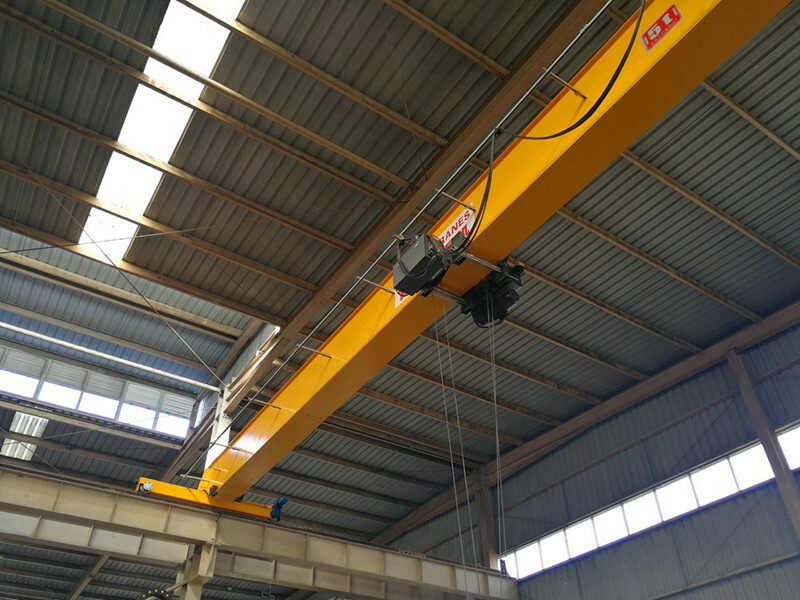 As its name, the single girder top running Bridge crane made up of just one bridge girder. On the other side has two end carriage and there is also a trolley hoist that travels between the 2 end carriages. 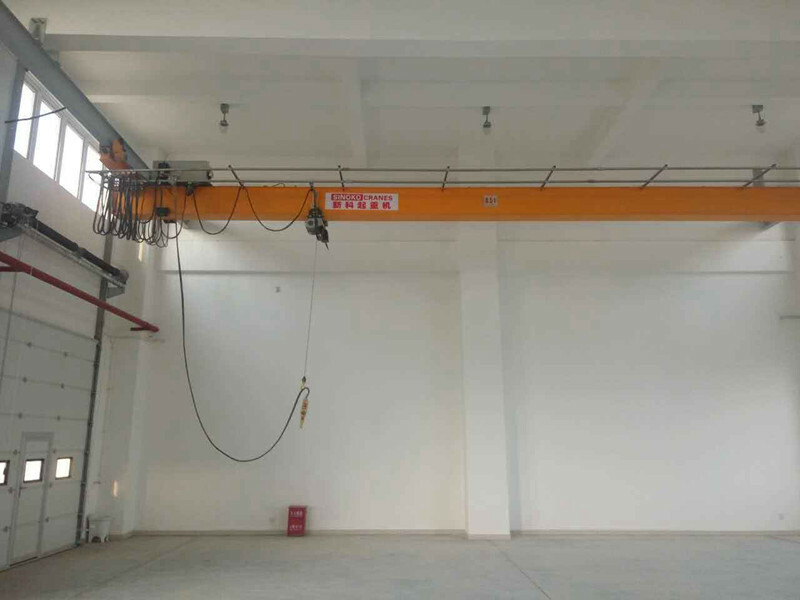 Single girder top running bridge crane is a cost effective choice. The working class can be reach to A5 (M5, 2m). It can be used in Cement Factory, Assembly Warehouse. 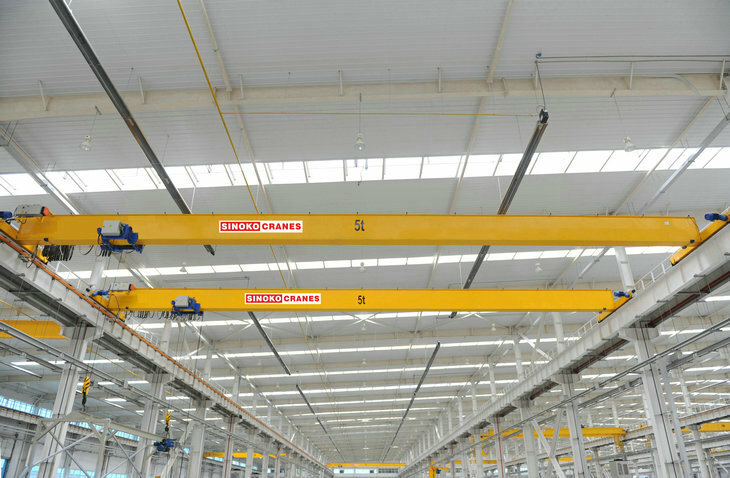 In addition, Top running Bridge crane can reduces the load on the wheels so this crane helps you save on new support structures. 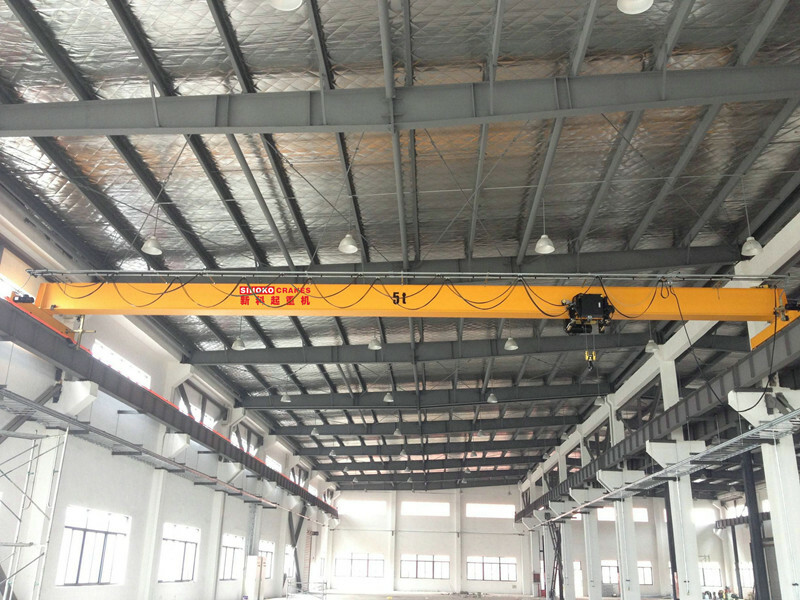 Single-girder crane lifting mechanism consists of Sino-foreign joint venture brand double-speed electric hoist. The product has the advantages of compact structure, light weight, small size and easy operation.